One Day DANCEPL3Y Teacher Training. Teaching dance in PE doesn't have to be stressful! Simplify and make dance unit design fun with Teaching Dance for Understanding: a new pedagogical approach for dance education that shakes things up! Forget 5-6-7-8 or complicated choreography. In this session, you'll experience the 6 Phases of the TDfU framework and discover physically-active lessons with dance moves that will inspire you and your students to feel AWESOME about dance! Chief Play Officer, PL3Y Program Director, Author of Teaching Dance for Understanding. Melanie G Levenberg, M.Ed, puts her passion into action through her work as Chief PLAY Officer for PL3Y Inc. Applying best practices in positive thinking, personal development, fitness, health and physical education, she inspires kids, teens and adults to claim their Bubble of Awesome™ and live the 3 Rules of PL3Y: Be Positive. Be Fun. Be Yourself.™ A certified trainer and instructor, Melanie holds a Masters of Education in Curriculum, Teaching and Learning, a teaching degree in Health and Physical Education and an honors degree in Kinesiology. 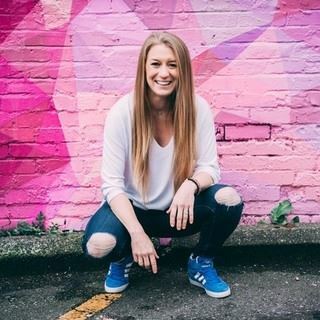 She has worked with organizations across the world to inspire leaders to foster more playfulness in their lives through innovative and fun physical activity programs, workshops, retreats and training's.